Rob is your local Byron Building Inspector. 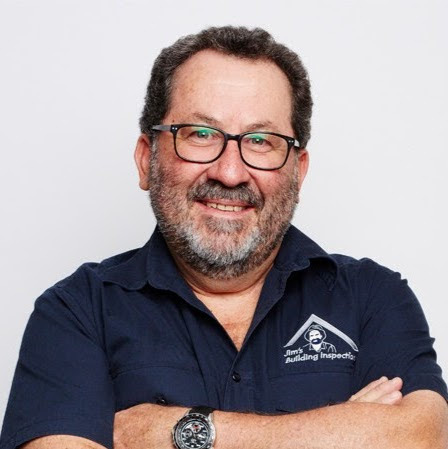 Rob has been involved in the building industry for many years and has worked extensively throughout the North Coast region. As a born and bred local, Rob knows every corner of this beautiful part of Australia. He grew up in the region before heading off to the Gold Coast and then Sydney. But the lure of friends and family back on the North Coast was just too strong so he returned to “paradise” 21 years ago with his wife Debra and three children, all of whom have grown into fantastic adults. Rob is passionate about customer service and will do everything possible to ensure he meets or exceeds his clients expectations. He understands that buying a home is the most significant financial transaction most people will be involved in throughout their entire life and it can be very stressful. His goal is to take as much stress as possible out of the process and give you confidence in knowing exactly what you are getting for your money. With the support of the Jim’s organization, Rob is offering a comprehensive range of services to residents of the North Coast, including Pre Purchase Building Inspections, Timber Pest Inspections, Asbestos Identification and Testing, Pre Sale Building Inspections, Pool Fence Inspections and Dilapidation Reports. Other inspection services are also planned for the future. Rob’s move into the area of Building Inspections was a natural progression and to complement the move he has added to his skillset with a Diploma of Building Surveying. Of course, this is in addition to all of the specialist training required to become an approved Jim’s Building Inspector. Just as Building Inspections was an obvious choice, so was the Jim’s organisation, a name which is trusted and respected throughout Australia. “There were plenty of other options available, but Jim’s beat the lot hands down in every way” said Rob. “Having Jim behind me 100% should be as comforting for my clients as it is for me”. Of course, Rob is also fully insured with Public Liability and Professional Indemnity insurances.